Back on the Nexus 5's launch day, Google announced an upcoming feature that would make it easier to open search results directly inside of relevant apps, rather than within a web browser. You'd be forgiven for missing this announcement, given everything else that was going on that day. This new functionality, known as app indexing, places an Open in app button next to search results that contains information better suited for perusing inside an app. 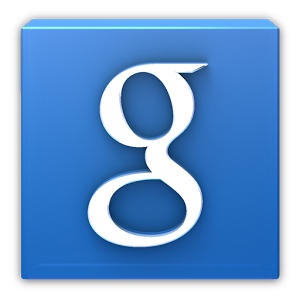 The functionality's now rolling out to the Google Search app as well as mobile web browsers. It's also now easier to find new apps as well. 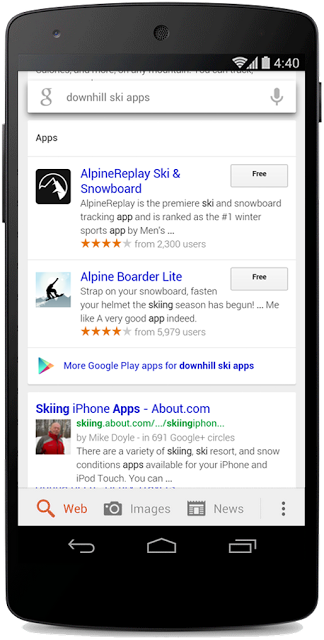 If you search Google for skiing apps, for example, a short list of relevant apps will appear alongside deep links to their Google Play pages. This integration all serves to make it easier to move between search results and apps without having to jump through hoops. Given that Google Search now functions as an app launcher these days, these additions only make sense.